The Fire Bear Jacket model from TEXPORT® offers highest protection and meets the latest demands on safety for the wearer. Additionally it features high functionality with its upper arm and multifunctional pockets and holders. The Fire Bear jackets combines two different harness functions in one jacket: The “loop” function which gives the wearer the opportunity to add an optional chest harness to the jacket. On the back of the Fire Bear jacket the “drag” function is integrated. This special harness was developed to ease the rescuing of comrades during respirator accidents. 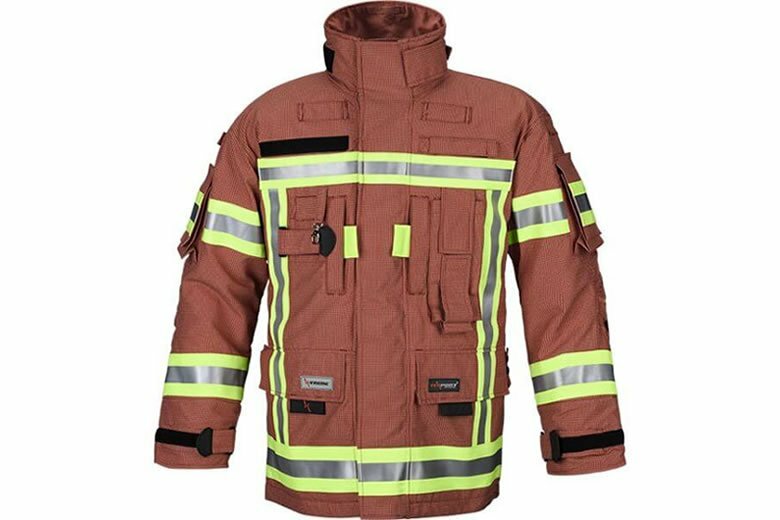 The Fire Bear Jacket comes with the patented X-TREME® material compound, which ensures best protection, comfort and breathability. The model is available in different colourways and different outershells.